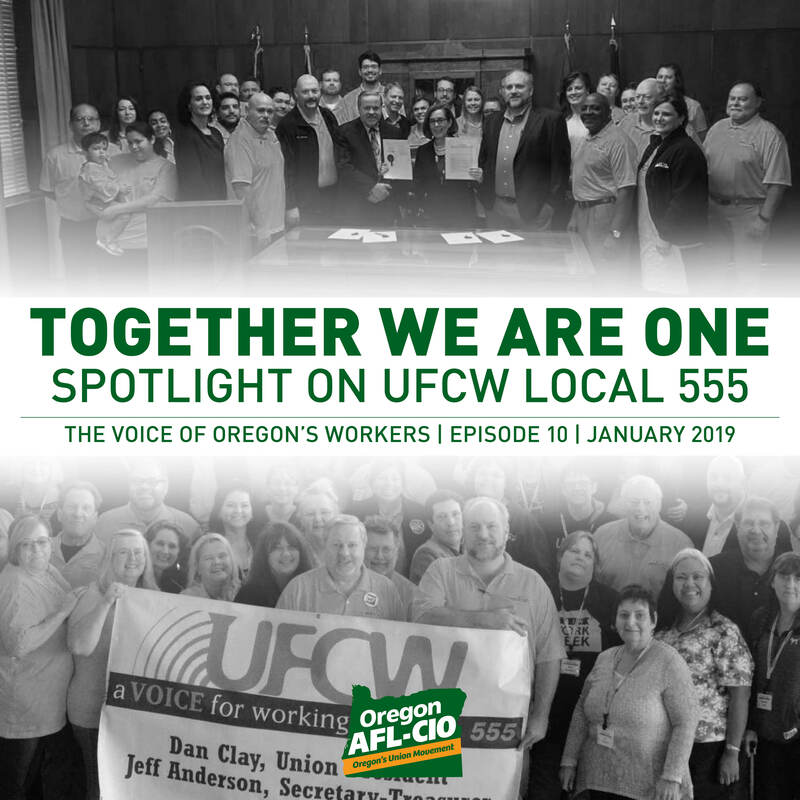 On this month’s episode of The Voice of Oregon’s Workers, we sit down with Jeff Anderson, the Secretary-Treasurer of United Food and Commercial Workers Local 555 to discuss the historic wins they have made for workers’ rights and what the future holds for their diverse membership of 25,000 working people. Click here to listen today, and make sure to subscribe to The Voice of Oregon’s Workers on iTunes, Stitcher, or Spotify. The Oregon AFL-CIO is committed to fighting for federal workers impacted by the shutdown. 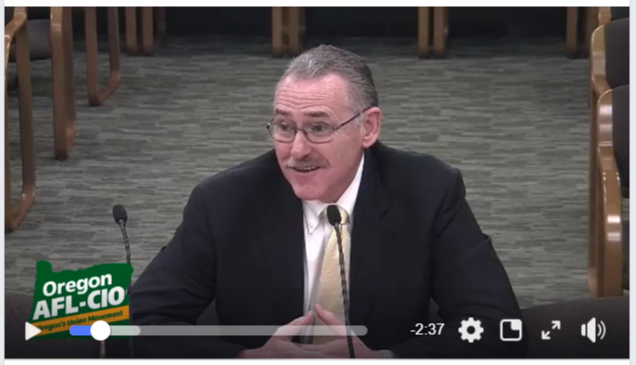 This week in Salem, Oregon AFL-CIO President Tom Chamberlain testified before the Oregon State Senate Workforce Committee in support of extending unemployment insurance benefits to impacted workers. Click here to watch his testimony. Portland SAG-AFTRA President Robert Blanche needs our help. In 2011, he was diagnosed with hypersensitivity pneumonitis, an inflammation in the lungs that led to pulmonary fibrosis. In August 2018, Robert received his second chance at life with a double lung transplant. However, his recovery has been fraught with complications, and Robert has remained in ICU ever since. Click here to learn more about Brother Robert’s struggle and please consider making a donation today to help support him and his family during this difficult time. It’s Official: St. Charles Nurses Have a Contract! St. Charles Bend nurses represented by the Oregon Nurses Association have voted in favor of ratifying a new four-and-a-half year contract. Now that the contract has been ratified, St. Charles and the ONA will work together to develop processes to put the new contract language into practice in the coming weeks.